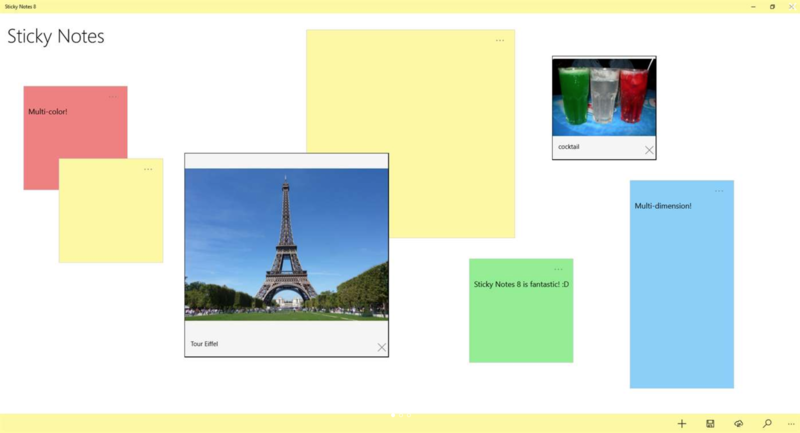 Sticky Notes 8 is a mobile version of sticky notes, the ones you use at office or home. This isn’t the first sticky notes app, but it’s a good choice because number one – it’s free, and second, there are a lot of practical features you’ll find useful. Sticky Notes 8 allows you to change the colors of the notes; great if you color code your to-do lists. The app has live tiles, and you can display the notes in three sizes: small, medium and wide. Most people seem to prefer the wide view as it displays a lot of text. But if you just scribble a few words or don’t want the note to occupy a lot of desktop space, choose small. If that’s too small, medium is a good compromise. If you’re using Windows, Sticky Notes 8 allows you to sync your stuff with One Drive. If your notes are important and you want them backed up, this feature could be a lifesaver. You can of course, pin notes on the Start screen, search your notes, share and so on. If you look at the Settings there’s even an auto save feature. The app is free but there are ads on it. You can get rid of the ads by paying $1.50. However there’s no need to pay because you can put your notes over those ads or move them so they don’t get your way. Bottom line: this is a must have if you don’t want to lose track of your appointments and activities for the day.